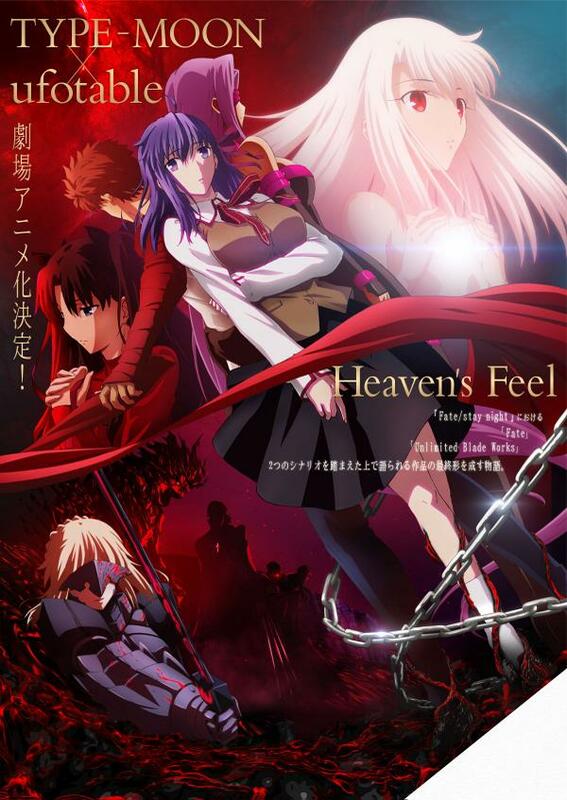 June wrote: I hope they decide to go with Nasu's original vision of Heavens Feel before he turned it into wormNest's pandering route to meet the deadline. And nothing for regular old Fate? Shinoyami65 wrote: And nothing for regular old Fate? ^Aw fish nuggets, now we'll never get to see ufotable fix the Anime That Doesn't Exist. I'm a fan of the Fate Stay Night franchise. 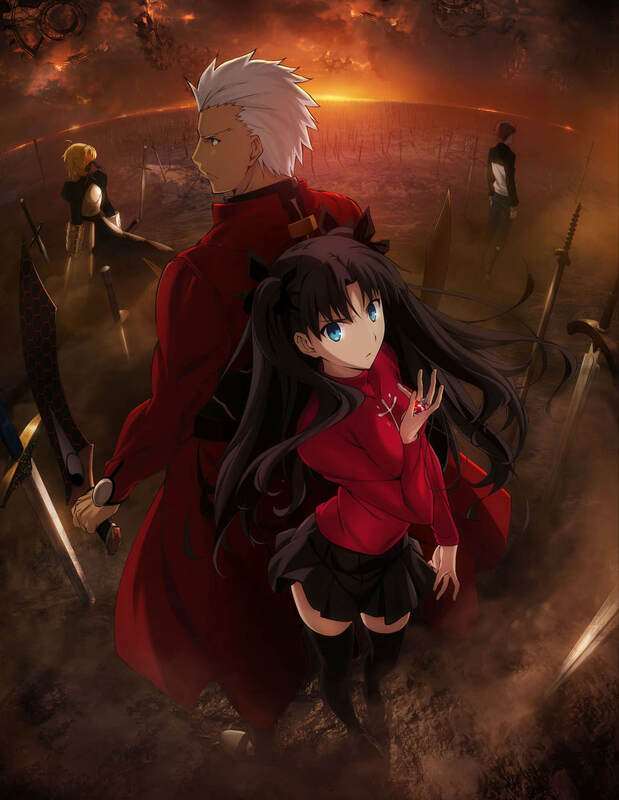 But the only anime thing related to Fate/Stay Night I've ever watched was the well animated but otherwise not very good Unlimited Blade Works. After getting into the franchise it came off more as a string of cutscenes linked together. I thought this thread was titled, "Ultimate Adoption Works" like this is a baby adopting sim or something. That would be pretty sweet. Imagine all the late nights changing poopy diapers. Amazing. I hope it's less boring than Fate/Zzzzzzzzero. Have you "read" the VN? Are those the release dates in the upper left? It was all that I wanted. 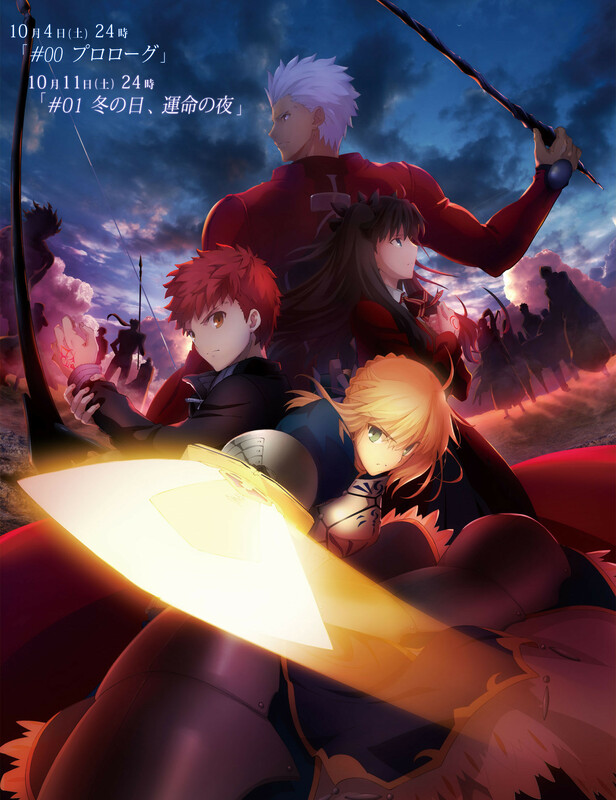 Good god this is going to be amazing, Archer vs Lancer already better than all the servant fights in f/z. Question: Can you come into this show without seeing anything else from the franchise? I kind of want to see what all the hubub is about. cyharding wrote: Question: Can you come into this show without seeing anything else from the franchise? I kind of want to see what all the hubub is about. So far, it seems like it. The story so far seems to follow the first series and they're at least explaining things as they go. The action sequences are pretty awesome so far. So far, this is actually improving on the source material by cutting down on the exposition and giving what remains a more cinematic approach. I'm all for that. Hopefully this will continue to be a case where execution quality makes up for the weaknesses of the work being adapted, at least to some extent. Watched episode 0. It was basically the entire prologue from the VN, although much shorter in terms of the time it takes to get from one end to the other. It's very loyal to the source material, which is nice, although I hope things speed up soon because, having already read the VN's prologue I already knew everything that was going to happen in this episode (it's just that true-to-text). At the very least it does things in an interesting way and isn't as long-winded as the VN. The fight scenes have been changed slightly and are much better than reading through them, too. They seem to have decided to give Saegusa bright orange/auburn hair this time around, but that's about the only notable change. Music is good, and ufotable's visuals don't disappoint. I think I'm going to enjoy this one.